S/1c R. M. Newby, son of Mr. and Mrs. R. S. Newby, Graham, husbandof Ruth Hickman. 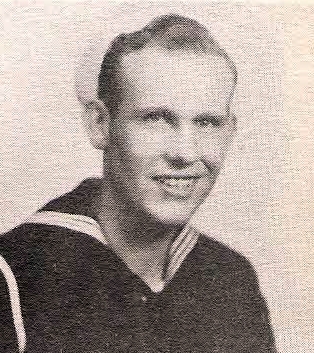 Entered Navy, 1945, trained in San Diego and Carlisle, Pa. Served on Guam. Discharged in 1946. Also listed as Robert Morris Newby in the Roster Page of the original publication.